A New Mexico woman has found a creative way to deal with her bout with breast cancer. (RIO RANCHO, N.M.) — A New Mexico woman has found a creative way to deal with her bout with breast cancer. 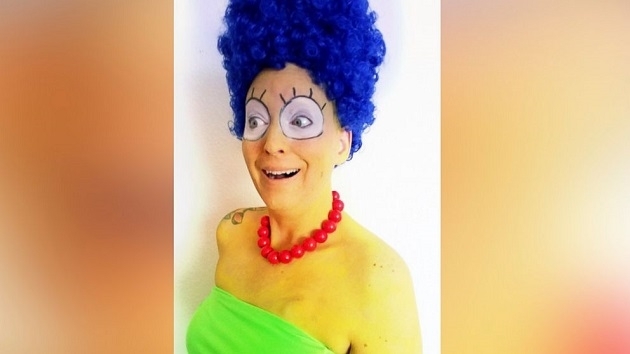 As a method for coping with her 2018 diagnosis, Beth Pendergrass, of Rio Rancho, takes funny photos of herself while dressing as characters and posts them on Instagram. Pendergrass has 852 followers and her account is still growing. Those who are close to her and people fighting cancer are loving her strength and humor. “I like to make people laugh,” Pendergrass told ABC News’ Good Morning America. Pendergrass has had surgery to remove a tumor in her breast and is currently undergoing chemotherapy. She will begin radiation this summer, she said. When she started losing her hair from chemo, Pendergrass cut it short. A friend told her she resembled Maria from The Sound of Music and from there, she came up with a fun idea. “I decided at that point I was going to document my experience through pictures,” she said. Pendergrass has so far channeled Lucille Ball, Mrs. Doubtfire, Marilyn Monroe, Sleeping Beauty, G.I. Jane, Marge Simpson and lovable Christmas characters. Her favorite look is Charlie Chaplin, she said. Family, friends and co-workers have also got in on the act, posing in group photos for Pendergrass’ Instagram. People from all over the country have let her know that her page has touched them. “It’s nice that I could help others while helping myself,” Pendergrass said.